Tara is a PhD candidate studying African History. Her research focuses on the gendering of law and justice in precolonial and colonial Igboland in Nigeria. Tara received the Fulbright-IIE U.S. Student Award and the Mellon International Dissertation Research Fellowship Program Award (funded by the Andrew W. Mellon Foundation and granted through the Social Science Research Council) both to be used for dissertation research in southeastern Nigeria from December 2017 to December 2018. Tara has worked as a Journal of West African History editorial assistant and office manager, as a research assistant for Dr. Nwando Achebe, as a teaching assistant for interdisciplinary undergraduate courses, and as a teaching assistant for online social science undergraduate courses. For the Fall 2017 semester Tara is the teaching assistant for a graduate-level international social science research grant writing course. She is a member of the African Studies Association (ASA) and the ASA Women’s Caucus. Tara works for the campus Writing Center. 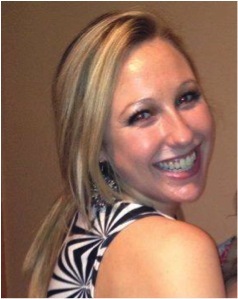 She is also volunteers as the graduate assistant coach for Michigan State University’s D1 Women’s club hockey team. She earned her B.A in English and African Cultures & Colonialism from St. Olaf College, May 2014.